Angel grew up in El Paso. Began his radio career working at B94FM in the 80's. In the 90's, Angel moved to Dallas and worked at KICK FM. He also got his bachelors degree in Finance from University of Texas - Arlington. After graduation from UTA, Angel started his career in investments at Fidelity in Dallas. He then moved to the west coast to work for Edward Jones in Redondo Beach, California. JPMorganChase in El Paso offered Angel an opportunity to work with "offshore" clients in El Paso. "I jumped at the chance to come home", said Angel Gonzales. I came to realize that the people of El Paso were special. El Paso is special. AT JPMorganChase Angel traveled throughout Mexico and Latin America, helping clients grow and preserve their wealth. I was able to work with some incredible people. In 2006, Angel was promoted to a Houston. "They're I began to work with wealthy clients from Mexico City, so I spent a lot of time there" said Angel. "I even worked with a few celebrities" exclaimed Angel. 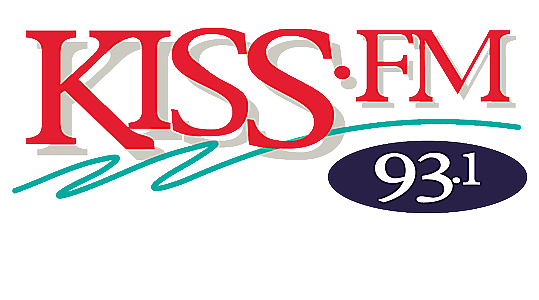 Now, Angel brings all his experience to KISS FM. "Its great to come back to radio after all these years" said Angel. "I never dreamed I would make a full circle with my life". "I love people and I love El Paso" said Angel. I love my job! Harvard Business School student Grace Choi claims she has invented a printer that prints make up. The newest idea in 3D printing. Do you hate having to wash your car? Living in the desert southwest makes keeping your car clean almost impossible. Will Southwest University Park Be Ready on Monday? I've been saying it for weeks and months but now KVIA is wondering the same thing. How will Southwest University Park be ready for Monday's big opener? Before I go to see my favorite band perform live, I search the internet for the set list. The list and order of songs they will perform. It's my way of adding to the excitement of the event. The El Paso Zoo is now accepting registrations for Zoo Summer Camp. This is not your ordinary summer camp. Who has the best nachos in the country? Both El Paso and Las Cruces make the list for the Best Nachos in the US, according to a food and drink site, Thrillist. Would You Rent a Tent at KLAQ BalloonFest? Two Views of the Same Concert…Really??? We all know that cameras can be deceiving. Yes, a picture is worth a thousand words but sometimes the words are not telling the whole story. I was eleven years old when I encountered my first love. Some guy was on the radio talking to kids like me. They sounded like they were having a blast. It was at that moment that I knew I wanted to be an on-air personality. Will The New Southwest University Park Be Ready? El Paso is buzzing with excitement of opening day baseball. The first ever game at Soutwest University Park is less than three weeks away!